Cynnamon and Tess have offered face painting at the Softball opening day in Orangecrest Riverside for the last 4 years. 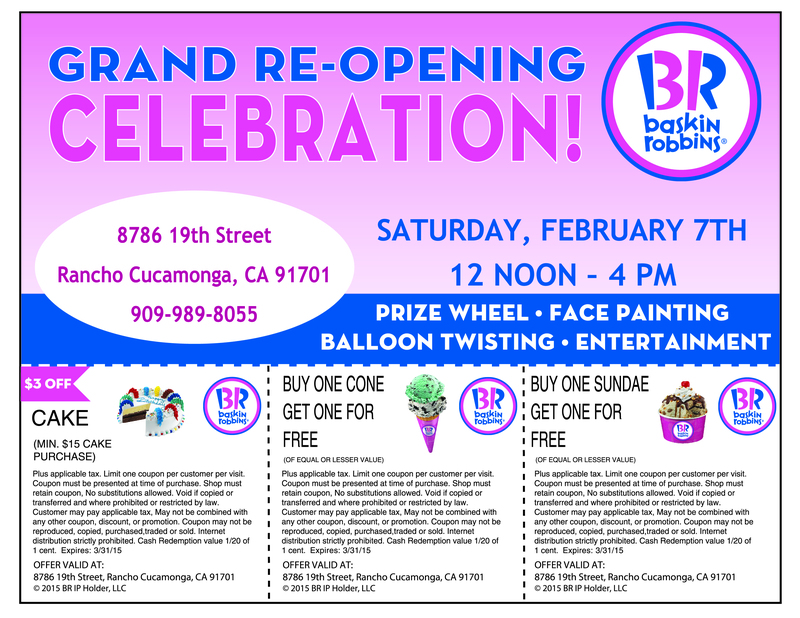 This Saturday, Feb 27th from 9am-3pm, our lead face painter, Cynnamon, and a few of our other artists will be offering face painting at the Orangecrest Pony Baseball Opening day in Riverside, Ca for the 4th year in a row! It is open to the public and free for families and will be located at Orange Terrace Park at 20010 Orange Terrace Parkway in Riverside, CA. There will be tons of fun stuff for the children to do including jumping in a jumper/bounce houses by Aloha Joe’s Party Jumpers, balloon twisting and cool craft vendors too! Grab your children and come by this Saturday! We hope to see you there! 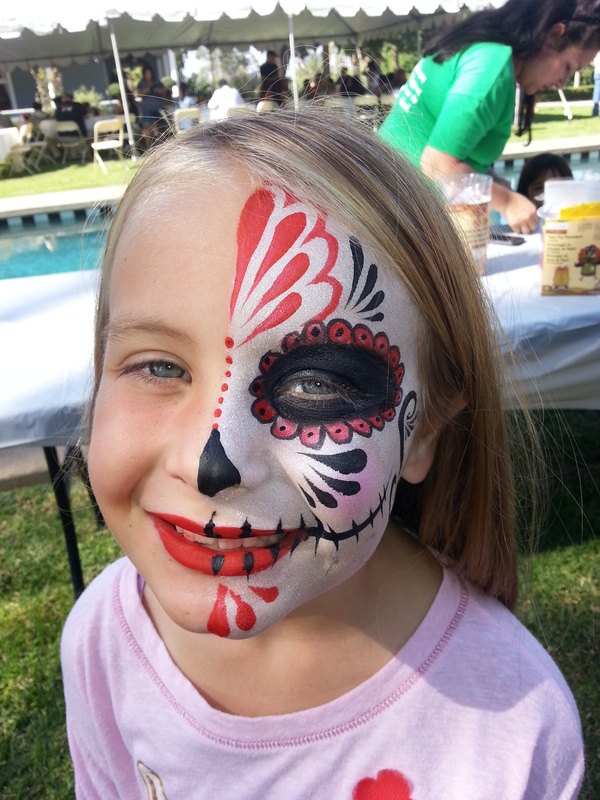 We will be charging per face for our face painting designs anywhere from $5 to $15 and promoting the fact that we mostly offer our face painting at birthday parties, corporate events, holidays and for individual appointments. 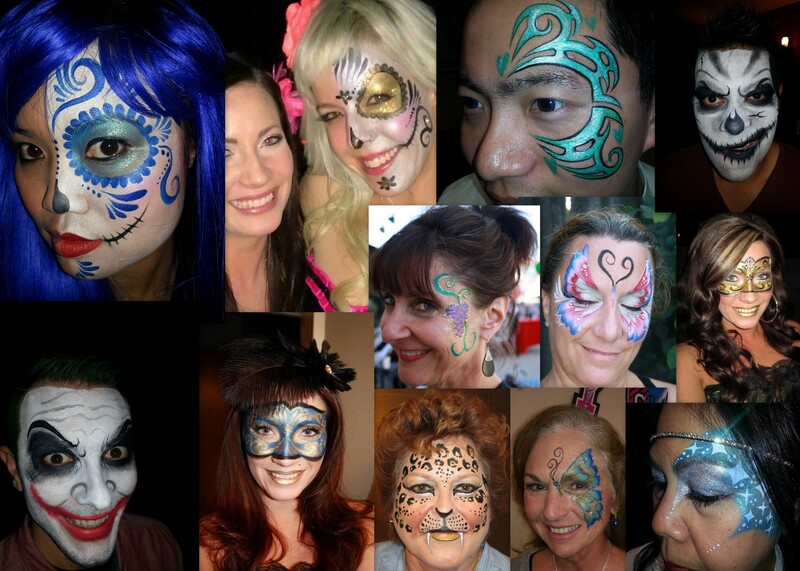 If you would like to book a face painter, body painter or fantasy makeup artist for your next event or party, visit our website at http://www.face paintingbycynnamon.com or call us at 888-750-7024. Dia De Los Muertos, also known as the Day of the Dead, is a Mexican holiday celebrated to honor ancestors and people in our life that have passed away. Face painting what is called a “sugar skull” is very popular for this particular holiday because it represents the Calavera. 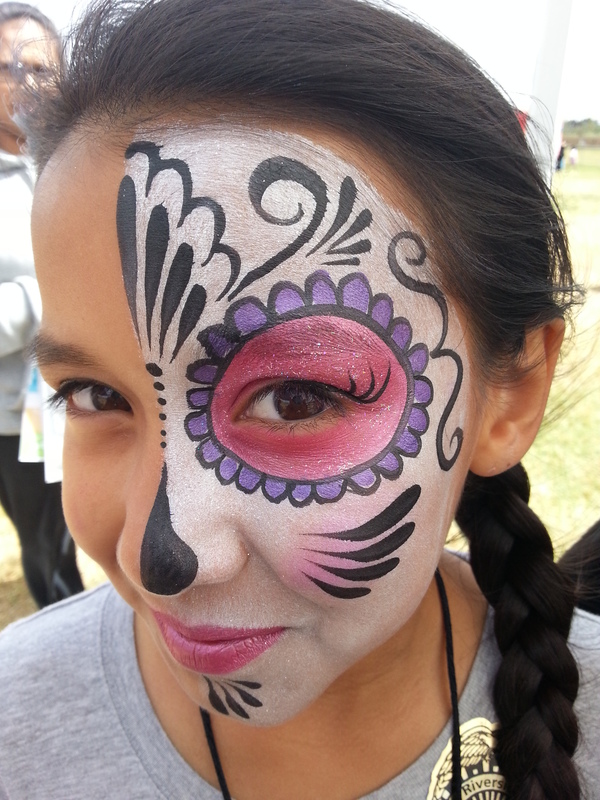 A Calavera is a representation of the human skull normally made of sugar or clay and it is customary to decorate it and paint it similar to the way we do when we paint faces. 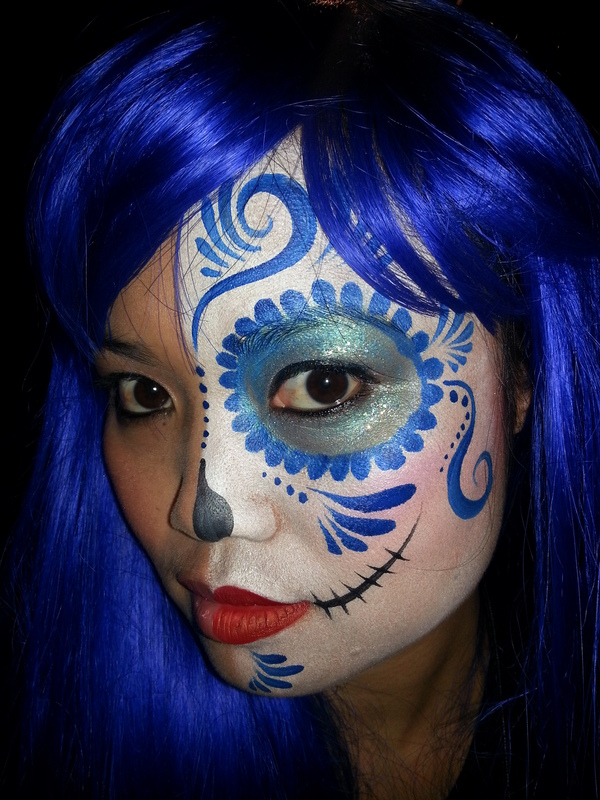 The holiday is celebrated on the full weekend of Oct 31st, Nov 1st and Nov 2nd so there are many parties that use the “Day of the Dead” as the theme of their event and sometimes I am hired to do face painting and makeup for parties specifically geared toward the holiday itself. These are all adults that I have painted at different events over the years. I can’t say this enough; face painting is not JUST for kids. I have been getting more and more calls from adults that are looking for face painting and makeup for costume parties, themed parties, holidays, sporting events and more! It’s funny because I consistently get adults at children birthday parties that want to get painted along with the children and I am ALWAYS happy to paint them! I paint anyone young-at-heart and I always hope that includes the whole party no matter what age they are. haha. 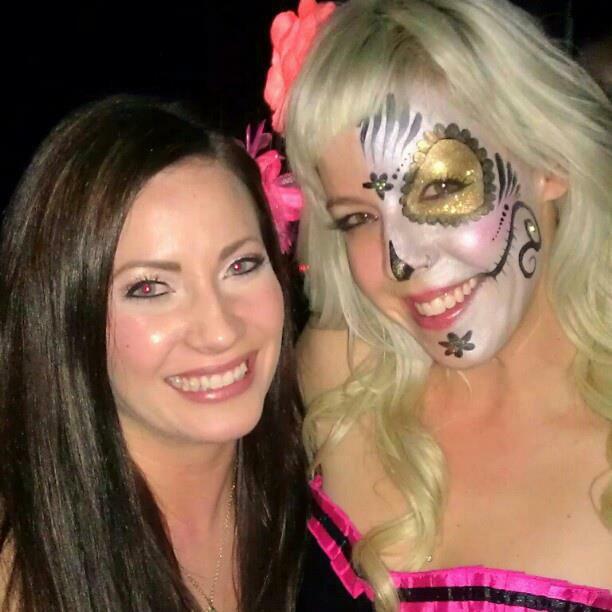 Anyways, here are some pictures of adults I have painted for Masquerade parties, Black Light Reflective events, The Day of the Dead holiday, wine festival events, business expos, Halloween, costume parties, sporting events and more!